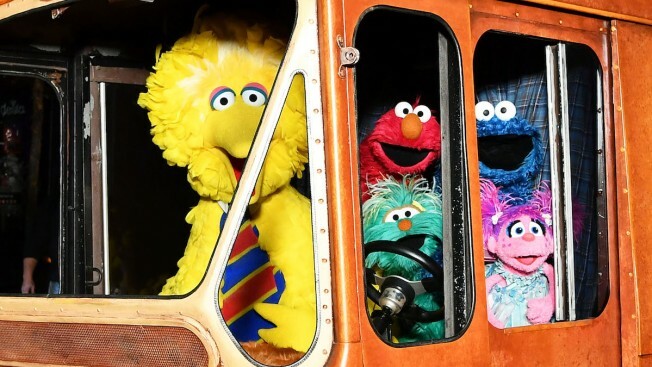 In this Nov. 9, 2017 file photo, Sesame Street Characters (L-R) Big Bird, Elmo, Cookie Monster, and Abby Cadabby attend the HBO Premiere of "Sesame Street's The Magical Wand Chase" at the Metrograph in New York City. The non-profit Sesame Workshop said Tuesday a selection of Muppets will embark on a 10-city trip to celebrate the show’s 50th anniversary. 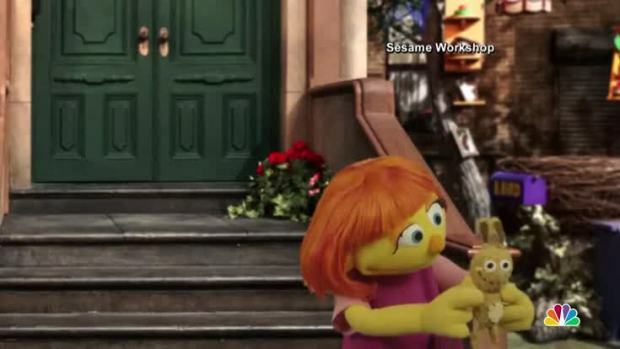 "Sesame Street" spent more than five years developing Julia, a new character with autism who makes her debut in April.